Our mothers raised us. They sweat over us, worried over us and did their very best to give us all the love and support we needed throughout the years. This Mother’s Day there is no better way to say ‘thank you’ than with a Dr. Hauschka 60-minute Facial. Dr. Hauschka’s products are all natural. In 1935 WALA Heilmittel began developing natural medicines. While skin care products were a natural continuation of the line it wasn’t until the 1960’s when Elisabeth Sigmund, an esthetician, who incorporated WALA remedies into her own line of products, began to work with Dr. Hauschka’s experts to create a skin care line that realized the importance of skin heath. The premise focused on how healthy skin leads to beautiful skin. One concept they conceived were cream bases that did not have any chemical or synthetic emulsifiers. Their products were scented with natural essential oils. Their first products came to market in 1967. Estheticians were trained in the Dr. Hauschka Classic Treatments. Additional treatments have been developed over the years. Today, WALA Heilmittel believes in “Supporting the healing of humanity and the earth.” Their production methods and all of their products are ecologically conscious. They source ingredients through fair trade initiatives. You mom deserves the best. Even as we buy organic foods, organic clothing and are conscious of the chemicals in our homes, we should be conscious of the chemicals we put on our skin through moisturizers, make-up and more. Today, we understand that natural products take less of a toll on our bodies. Our bodies understand how to absorb and break down ingredients that come from nature. Chemicals can build up in our bodies over time. With our Dr. Hauschka Facial you are giving your mother the best in organic facials. This Mother’s Day give you mom the gift of a facial that will not only relax her but that tells her how important she and her health are to you. We know how special your relationship with your mother is, which is why we are now offering a special on our Dr. Hauschka Facials. You can buy two facials for $230.00. 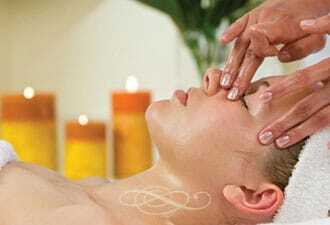 Individual facials are $175.00 for a 60-minute facial. Bring your mom in and enjoy our spa atmosphere that was rated Best of the ‘Boat. Call us now at 970-871-9543 to book your facial today. Visit our website at www.MassageSteamboat.com to find out about our other specials. We look forward to seeing you soon.